That is why I love to make my own beauty products. I know exactly what I am applying to my skin. The ingredients I use are natural ingredients that I have in my kitchen! 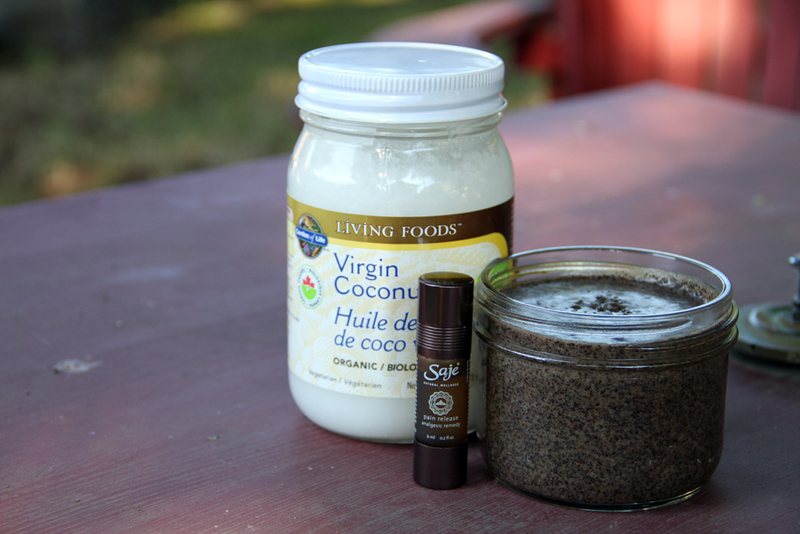 Coconut oil it’s incredibly moisturizing and filled with vitamins and minerals, which lock into your skin. Saje’s Pain Release Essential Oil helps reduce inflammation and relieve muscle pain and stiffness related to tension, stress, overuse, or injury. 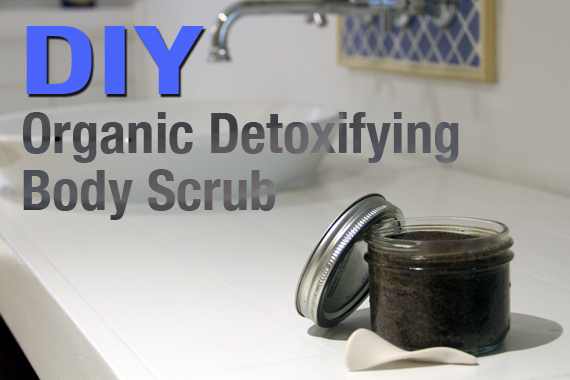 This simple 4 ingredient scrub will have your skin feeling silky smooth in no time, while detoxifying and helping reduce cellulite. Transfer to small mason jars or any other storage container of choice. What about my drains? Won’t they get clogged with coconut oil? We did some research and it seems that the only real solution in keeping your drains from being clogged with coconut oil, is simple. Run hot water for 60 seconds after you have used the scrub in the shower. This should keep it melted long enough to make it out of your small pipes and into the larger wastewater and sewage pipes…. 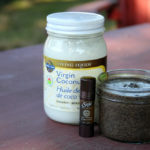 Better yet make the scrub with fractionated coconut oil (which is already liquid form and will not solidify).